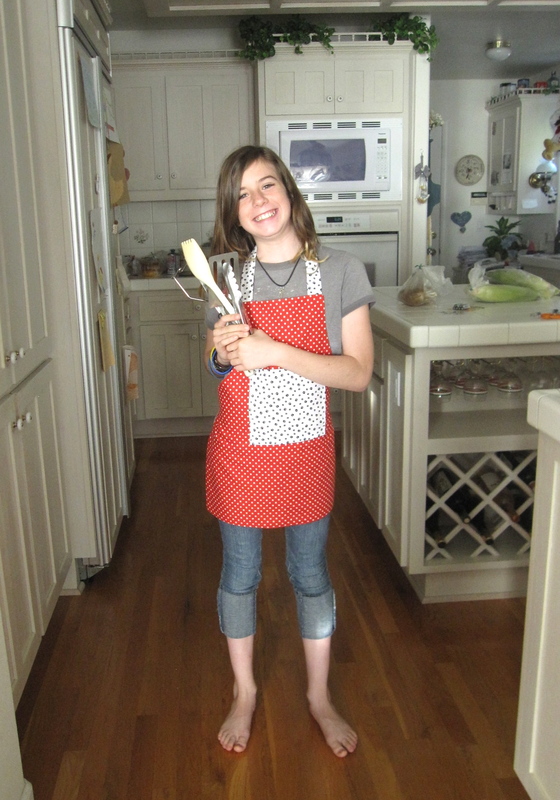 A couple of weeks ago I helped Emalee make her first apron, she picked really cute colours and it is going to come in very handy in the kitchen soon! 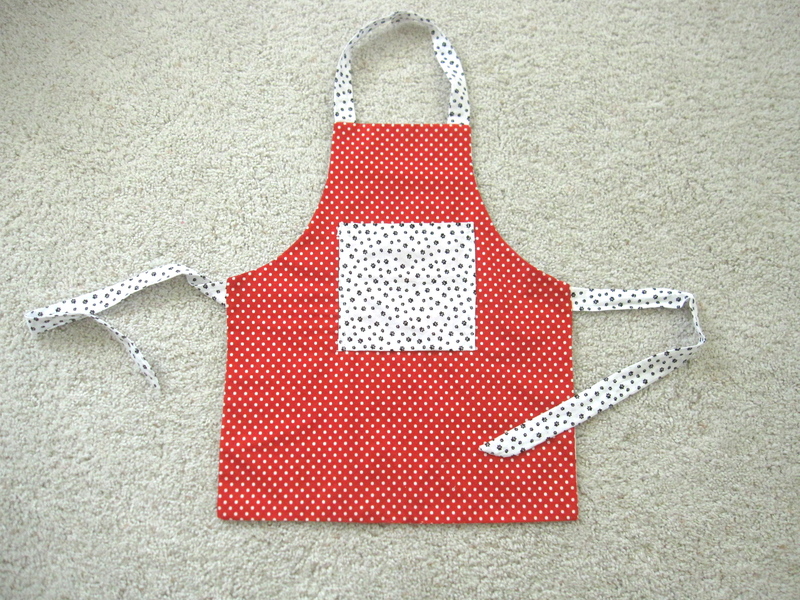 This apron is reversible which is great if you want to co-ordinate your apron to your outfits!! An apron is a great thing to sew for a beginners project. It’s pretty quick (she did hers in about 2 hours) and it’s totally useful. I love the red and white polka dots and the black and white doggy paws. For the pattern, we just used a piece of newspaper, folded in half lengthways with curves cut out for the arms. You just adjust this by holding up the newspaper pattern to your chest to see if the waist height is correct. We wanted a reversible apron, so we cut two, placed them right sides together, put the neck and waist ties inside and then sewed the whole way around. Just leaving a tiny hole at the bottom of the apron to turn the whole thing inside out. I hand stitched this closed to finish off, before we ironed it and tried it on. Here’s a good way to put it to use!! 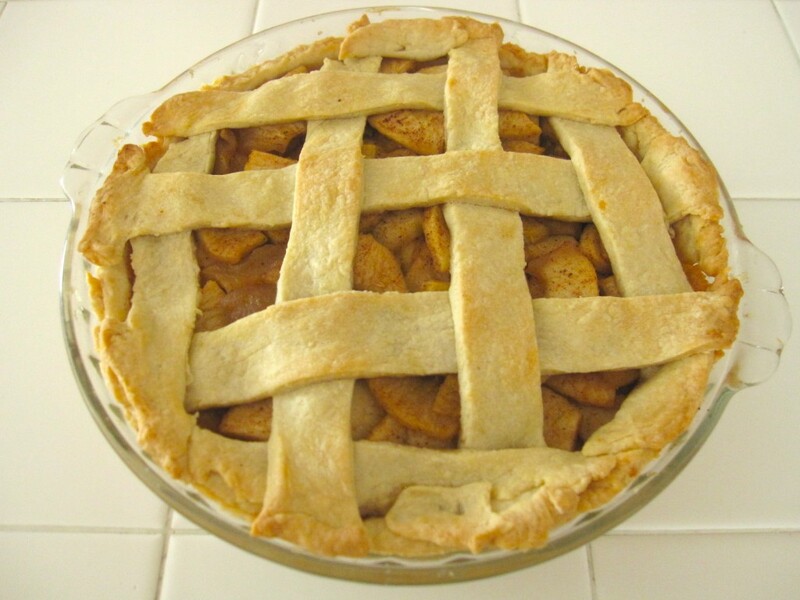 With another first for Em – apple pie.